What photography plans does Hayward Photography offer? This is the easiest plan for most schools. We will provide you with announcement forms that detail our package offerings prior to picture day. These forms will arrive individually labeled for each child according to the database that we receive from the school. On picture day, the child will give their payment envelope to the photographer prior to being photographed. If a child forgets the envelope, our photographers will have blank slips that they can use to identify the child. The payments, editing and ordering are all done by our office and the completed picture packages are returned to the school within 4-6 weeks from the original picture day. This plan works well for smaller preschools and daycare centers. We provide you with a flyer announcing the picture date that can be distributed to your parents. We will photograph all of your children and send proof strips of each child to you for distribution. Each proof strip will have a gallery code, a unique personal pin and instructions on how to order online using our secure website. Orders placed within 2 weeks of receiving the proofs are shipped to the school for free. After the 2 weeks have passed, parents may still order, however, shipping and handling fees will apply and these orders will be shipped directly to their home address. Everett Hayward has selected and trained a team of experienced children’s photographers who have expertise in Environmental Photography. Our photographers are professionals who work in the industry on a full-time basis. In addition, all of our photographers are CORI checked annually. Hayward Photography is the industry leader in Environmental or Outdoor Photography. We use the natural environment as our backdrop. Our professional photographers plan in advance with the school to choose a safe location on the school’s grounds to photograph the children. We find that the outdoor environment creates the best backdrop for the portrait and the children seem to be the most natural and relaxed in this setting. What if it is raining on our scheduled photo day? Pictures will be taken rain or shine, as it is too difficult to schedule a rain date. As the expert in environmental photography, Hayward Photography makes every effort to photograph the children outdoors. We have been very creative taking pictures while it is raining by utilizing a sheltered doorway or overhang. If the inclement weather is severe, then we will require a 10’ x 15’ area that is free from distractions (i.e. gym, cafeteria, etc.). Our photographers will come prepared with traditional oil-painted canvas backgrounds and lights. How does Hayward Photography minimize disruptions on Photo Day? We have an extensive team of professional photographers who specialize in photographing children the “Hayward way”. This experience of photographing in a school setting is the key to minimal disruption. Many of our competitors use less experienced technicians in place of professional photographers. Our professionals are fully aware of a school’s busy day and are always on time and prepared to photograph on schedule. Most of the time we run ahead of schedule without rushing. Our photographers use many creative techniques to meet the challenges of photographing children. We work hard to get the best expressions in the quickest time frame. In addition, we send as many photographers as needed in order to complete the session prior to the children’s lunch time. Your Account Manager will provide you with an appropriate scheduling template to plan the day and minimize any lag time. Is there a school staffing requirement for photo day? It is Hayward Photography’s policy that the photographer is never left alone with the children at any time. Either the teacher or a parent volunteer must be present. This is for the protection of both the children and the photographer. Although it is not required, parent volunteers are strongly encouraged for many reasons. The photographer will try to ensure that the children are properly groomed (i.e. hair combed, collar straight, etc.). Often young children become intimidated when someone they do not know approaches them. It has been our experience that they are much more comfortable with a parent they are familiar with who is available to help. Also, if we are running ahead of schedule or if a class is late in coming out at their scheduled time, it is helpful to have someone who knows the school to serve as a “runner”. We ask that there is one parent volunteer per photographer and as a thank you for their time; we will provide them with a complimentary portrait package for one child. Does Hayward Photography share any of the profits with our school and are there perks for our staff and their families? Additionally, we provide each staff member who is photographed with 2 complimentary 5” x 7” photos; classroom teachers will receive a complimentary copy of their class photo and staff members are entitled to a 25% discount on portrait package purchases for their children who attend the school. What happens if a child misses the original photo day? The school may request to have a Retake Day. If a child is absent on the original picture day, they may be photographed on this day. The Retake Day is typically scheduled after the original photo packages have been returned to the school. What if a parent is unhappy with their child’s portrait? Customer satisfaction is our priority and we stand behind our portraits 100%. Our retake and return rate are far below the industry standard. This speaks volumes about our dedication to quality. If a parent is unhappy with the portrait they received, they are welcome to have their child attend the Retake Day. All we ask is that they return the original, undamaged portrait package to the photographer on Retake Day. If a parent does not want to have a retake or if there is no retake day offered at the school, we will issue a full refund upon receipt of the original, undamaged package. What additional photography services and service items do you provide? Hayward Photography is happy to accommodate your various photographic needs. We would be happy to discuss a Sibling and/or Family Photo Day as an additional fundraising opportunity for your school. In addition, All School Group Photos, All Staff Group Photos, and All Grade/Team Photos can be taken. What is the customer experience like with Hayward Photography? 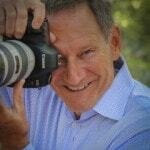 Outstanding customer service is what makes Hayward Photography different from our competitors. Each school receives personal attention by being assigned an Account Manager. This means that every time someone from your school or one of your parents calls our office, they will be able to speak with the same person. Our team of Account Managers has been with us for many years and are available Monday – Friday to deal with any questions that concern your school. Excellent customer service is why our clients keep coming back. When you choose a photography company, the assumption is that they are able to take quality pictures. What sets us apart is our record of customer satisfaction, and we have the lowest retake percentage in the industry (1% or less). Most of our schools have less than a dozen retakes or none at all!